SKU: n/a. 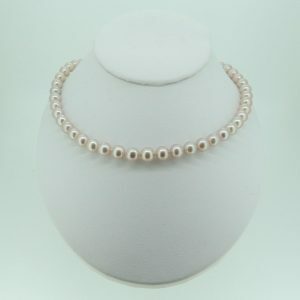 Category: Pearl Jewellery Sets. 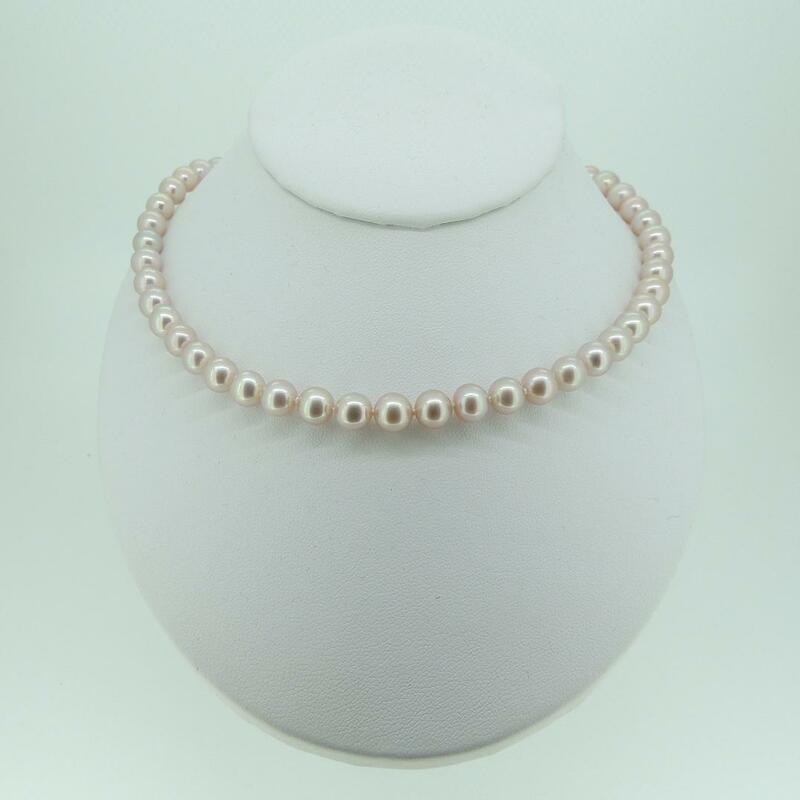 Cultured freshwater 6-6,5mm round AAA pink pearl set. 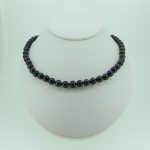 Necklace strung on silk with knots between each pearl with matching earrings. 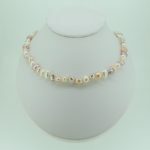 This pink pearl necklace is even more special, with the flawless pink pearls all matched beautifully and strung on silk, knotted between each pearl and finished with a 9K yellow gold or sterling silver polished ball clasp.